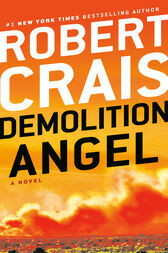 Robert Crais is the author of nine previous novels, including the bestselling and Edgar-nominated L.A. Requiem. In addition to his previous award-winning books, Crais has written for such acclaimed television shows as L.A. Law and Hill Street Blues. He lives in Los Angeles. Demolition Angel has been purchased by Columbia/TriStar and producer Laurence Mark (Jerry Maguire, As Good As It Gets), and is being developed as a major motion picture.